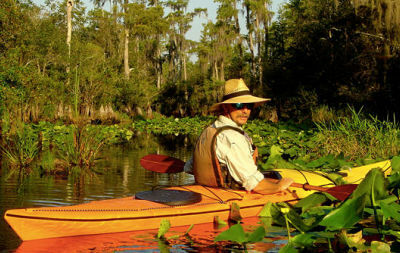 This tropical adventure includes all kayak, camping and snorkeling gear, meals on the water, land transportation, lodging, and the services of fun and experienced Adventures in Florida staff. 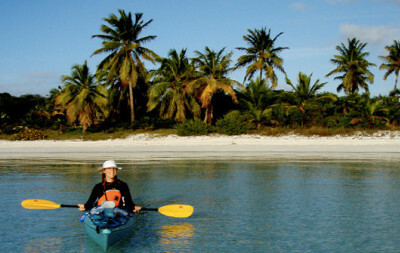 Crystal blue warm waters, pristine white sand beaches, warm, golden sun, and dazzling sunsets. 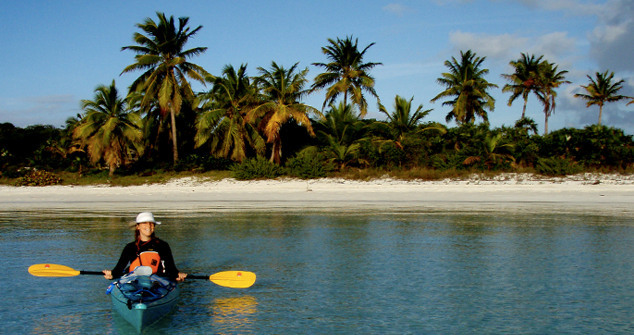 Our expedition along the chain of beautiful tropical islands which form the Exumas in the Bahamas is as close to paddling in paradise as you can get. Day 1 — Arrive in Georgetown, meet group, and go over the week’s itinerary. Dinner will be at the town fish fry. Day 2 — Shuttle to Barra Terra, load kayaks (yes it will fit), and set off. 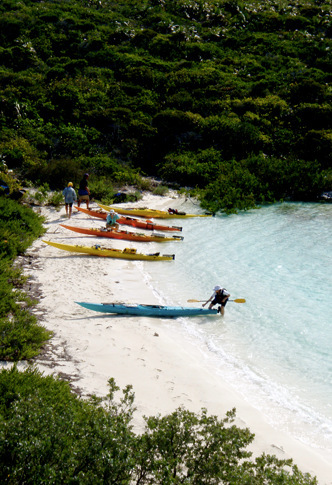 We’ll spend the next six days exploring the numerous remote cays surrounding the northern end of the Exumas. Each day we’ll pack a picnic lunch, take along the snorkeling gear, and set off to uncover new treasures and sights. 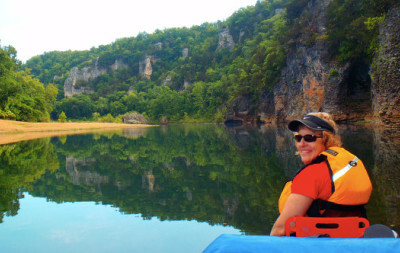 We’ll plan to paddle about 4-6 hours a day, but of course we’ll be flexible to the desires of the group. So if you want to relax under a palm tree on the white sandy beaches, snorkel along the reefs and coves, or leisurely paddle through the mangroves, we’ll make it happen. 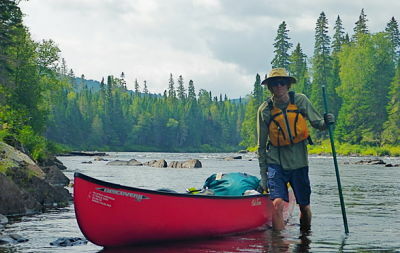 Day 7 — After a hearty breakfast, we’ll pack up, paddle back to Barre Terre and catch a ride to Georgetown for our final night stay at one of the local Inns. 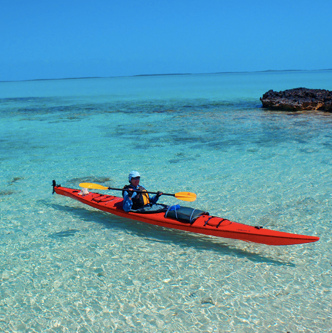 We will have some time in the afternoon to do a little sight-seeing on our own, visit the handful of shops, or take the ferry to nearby Stocking Island, known for its crystal clear waters, white sands and blue holes. Stocking Island is a long thin island about 1 mile across the harbor from Georgetown. 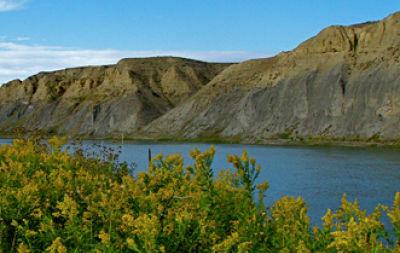 It is accessible by ferry service from Georgetown and is worth the visit. Day 8 — Depart for home. 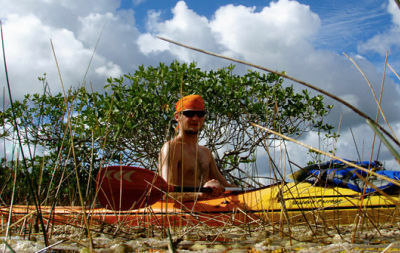 This trip is for any level of paddler who is in reasonable shape. Most days are very easy, however, we might get a day of wind or rain. 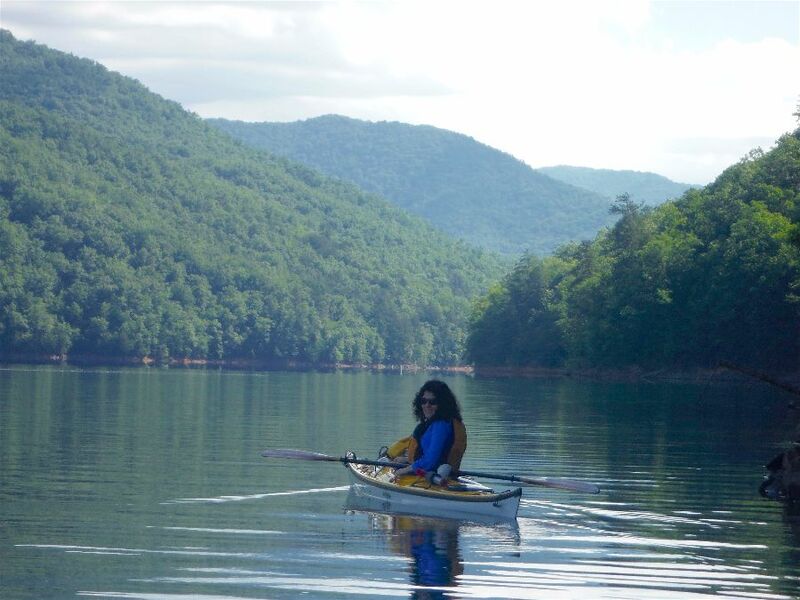 Plan on paddling 3-4 hours each day. 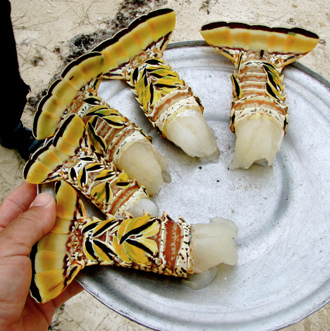 If all goes well most meals will include fresh conch, lobster, fish or a combination of all three. Your guides will prepare and serve all meals. Participants with special diets should contact us prior to the trip. For the first and last nights, our lodging will be at the Palm Bay Resort. Rooms are more like houses fully equipped with two master bedrooms, two bathrooms, and a modern kitchen. While on the water we will be camping on beaches just a few feet from the waters edge. This will be primitive camping.